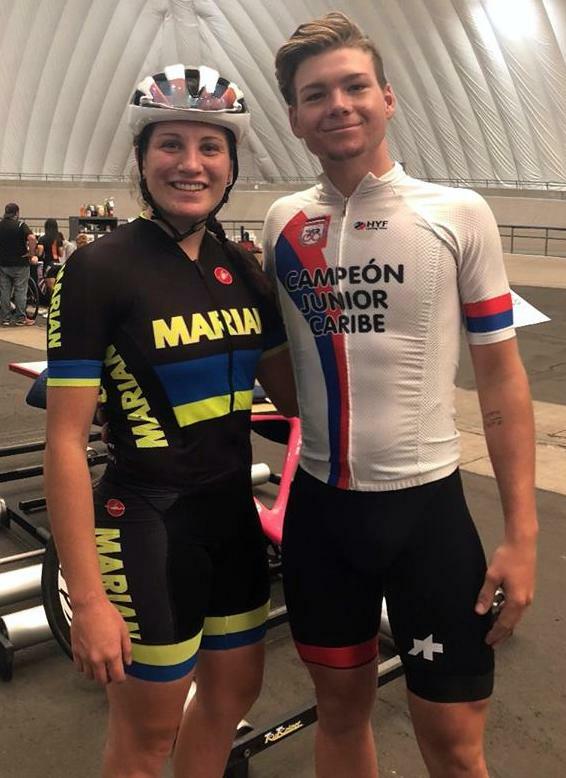 Not just Gabriella Arnold competed at the USA Cycling Collegiate Track National Championships, Kaden Hopkins was also involved. Arnold representing Marian University finished 10th competing in the Women Sprint Qualification - 200m - 2.5 Laps clocking 12.863. Hopkins representing Fort Lewis College finished 21st during the Men Sprint Qualification - 200m - 2.5 Laps clocking 11.424. During the Women Sprint 1/16 Final - 2 Laps Arnold would go down in Heat 9 to Stephanie Nave from Milligan College, Nave would clock 12.692, with Arnold clocking 12.749. Arnold would then win Heat 1 of the Women Sprint 1/16 Repechage - 2 Laps, she would clock 13.080, with Tristen Musselman from Fort Lewis College second in 13.168 and Natalia Franco from Colorado Mesa University finished with a time of 13.192.